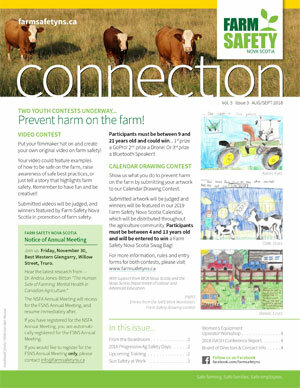 Connection Newsletter – Farm Safety Nova Scotia – Safe Farming. 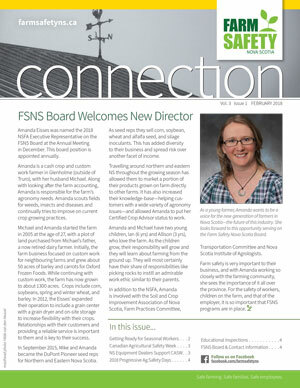 Safe Families. Safe Employees. 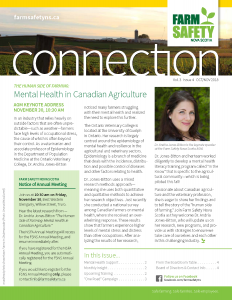 The Connection is a quarterly newsletter mailed to members with the NSFA News & Views. 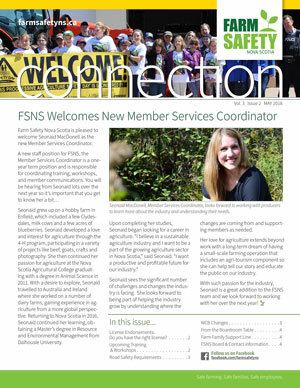 The Connection includes information on FSNS events, workshops, training and educational articles.